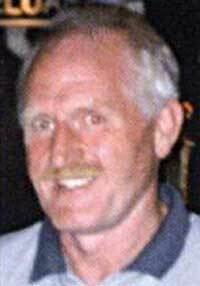 Billy Reid died on 4 June 2006 and our whole community lost a true patriot, gentleman, freedom fighter, sportsman, and his comrades in Óglaigh na hÉireann lost a leader of men. Billy was born and raised in the Lower Whack (Lower Falls) and he went to St.Joseph's school in Slate Street. From that wee school he scaled boyhood heights when he was selected to play for Belfast schools against Dublin in the annual Gaelic football fixture. He was very proud of that. But more was to come. On a journey via the Jemmy Hopes, Sarsfields and Dwyers he eventually found his lifetime home in the Seán McDermott's GAA. Sport was one of his lasting passions and the McD's was his lasting love. From that club he achieved senior county referee status and even organised Gaelic football tournaments in the Channel Islands on an annual basis. Billy had other passions in his life. He was a competent golfer and fisherman, but the passion of his life was his wife and children. What a love story that was. He met Patsy Flannigan when he was 14 years old - a teenage love that lasted all his life. They had four sons and one daughter from 1963, who together faced and defeated all the trials which were to affect their young lives in the years ahead. When the violent excesses of British/Unionist rule were unleashed against the nationalist people of the Six Counties in 1969, Billy did what any true patriot would do - he resisted with all the power and skill he could muster. That skill was formidable and he became a legend within the ranks of Óglaigh na hÉireann. He also became a very large thorn in the side of British rule. His selfless dedication to the defence of his own people landed him in Long Kesh on two occasions. Add to that a 10 year sentence and numerous visits to Castlereagh interrogation/torture centre and Billy's family life was virtually non-existent. But throughout all that Patsy and the kids stayed together as his rock - and remained so until the 4th June, when Billy gave up his long struggle against cancer. He fought to the end, and just a few weeks before he died he jokingly had a bet with me on who would take the last lift. It is with some regret that I won that bet. Humour was always in Billy. His long time friend and comrade Big Dominic has hilarious stories about their time in the Lazy K. A book could be written on that alone, especially about Billy hearing confessions from unsuspecting new inmates. Humour and music, the GAA, sports of all types - these were hallmarks in Billy's make-up. Maybe Big Dominic will write that book sometime. No better comrade to do it, and his best subject. But the serious hallmarks in Billy's make-up were integrity and loyalty. I have seldom met a better example of a real friend and comrade. It is a pity that the real story of Billy's life can never be written; many secrets go to the grave. Suffice to say this, I don't go for heroes or icons - but I must confess that Billy was something of a hero to me. My thoughts are with Patsy and family and also the Reids. Billy loved Óglaigh na hÉireann and had the utmost respect for all his comrades. To them, and to the cause of freedom Billy remained loyal right to the end. Farewell Billy. I was privileged to have known you.